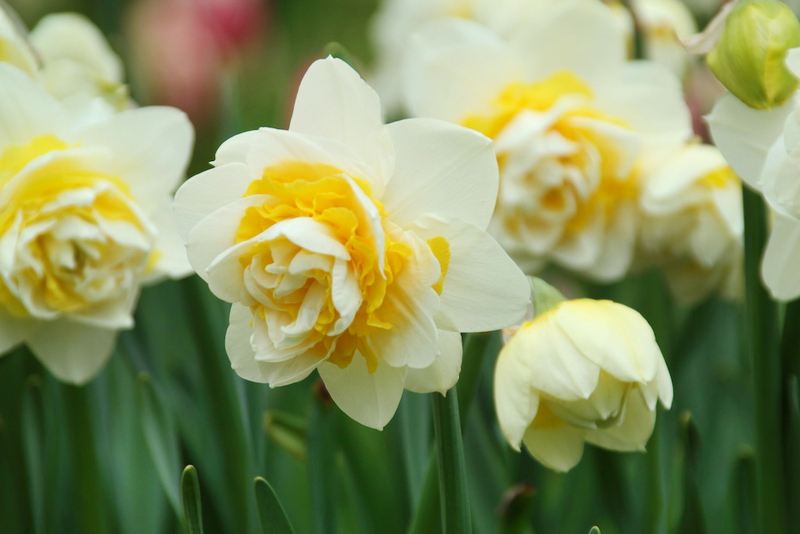 Photo Courtesy of Longfield-Gardens.com Unique daffodil varieties like Lingerie offer double flowering. Multi-flowering varieties like Beautiful Eyes, display several flowers on each stem. This variety’s white and orange blossoms have a gardenia-like fragrance. Miniature daffodil Baby Boomer has five to ten flowers per stem. After blooming, the grassy foliage quickly fades away, allowing nearby perennials to take center stage. Can’t decide? Consider one of the many pre-mixed packages such as Fragrant, Double, Miniature or Multi-flowering daffodil collections (www.longfield-gardens.com). Or, create your own long-lasting display by combining early, mid and late blooming varieties. Melinda Myers has written numerous books, including Small Space Gardening. She hosts The Great Courses “How to Grow Anything” DVD series and is a columnist and contributing editor for Birds & Blooms magazine. Myers was commissioned by Longfield Gardens for her expertise to write this article. Myers’ website is http://www.melindamyers.com.